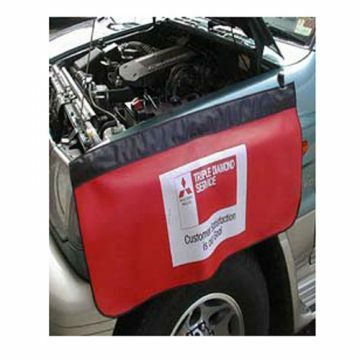 Anyone who services or repairs vehicles needs a fender guard – to protect the vehicle and their reputation. 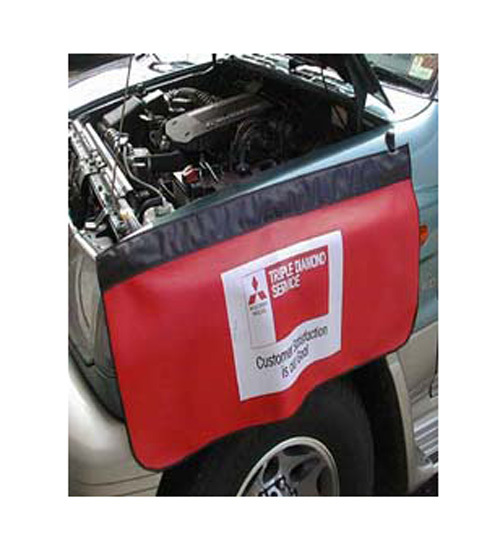 Printed advertising can promote – oil companies, crash repairers, vehicle accessories, motor companies. For carpet, fabrics, vinyls etc. 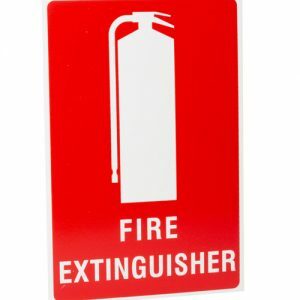 Made from tough polypropylene or welded vinyl. 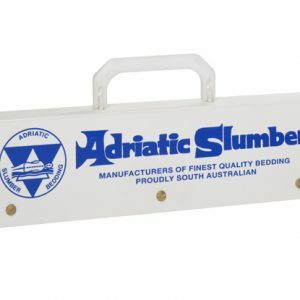 Can be fitted with carrying handles or hooks to hang on display rails. 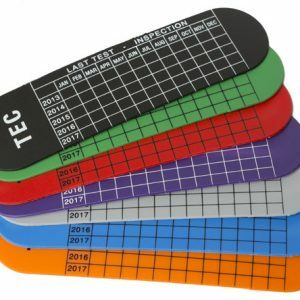 Hole punching, printing and sizes made to order. 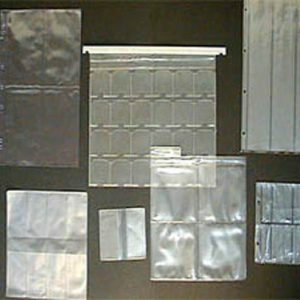 If you’ve a range to select from, choose Preview Plastics. If you are planning a retail promotion for wine or liqueur bottles we can manufacture many products to help. 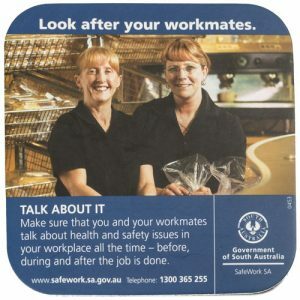 Two bottles or a 750ml and a smaller or miniature bottle can be joined with a polypropylene strap. 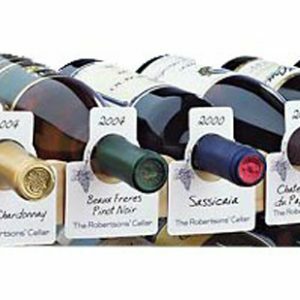 We have produced small pouches to hang from the wine bottle neck to hold promotional items. 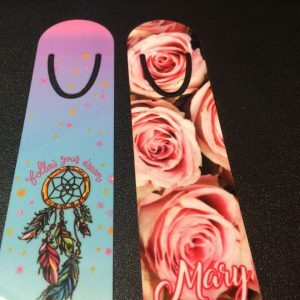 There are many ways that we can make attention grabbing labels to hang on the bottles. 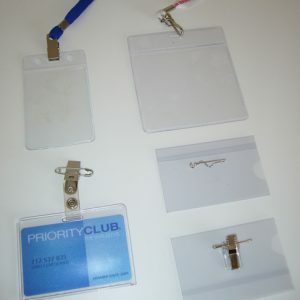 Also see our pages onswing tags and shelf talkers. Preview Plastics modern ideas to promote vintage wines. Keep track of your Breathing Apparatus (BA) operators simply and effectively. 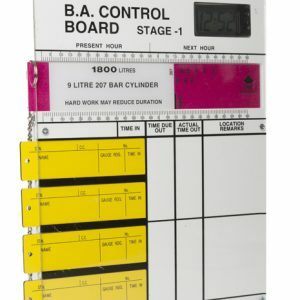 Breathing Apparatus control boards (BA board) are designed to save lives when fighting fires by keeping track of the time a firefighter has been using an oxygen cylinder. 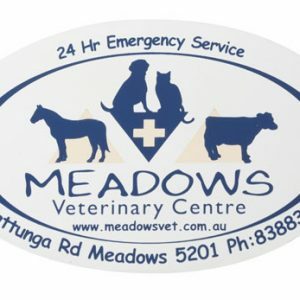 Designed in conjunction with fire fighting organisations, our BA boards are used widely throughout Australia. 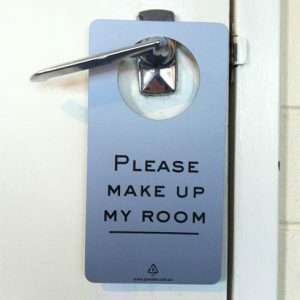 Available in standard configurations (pricing detailed below) or custom made and printed to your specific requirements. Please call or email sales@preview.com.au with your details for pricing on stock and custom options.